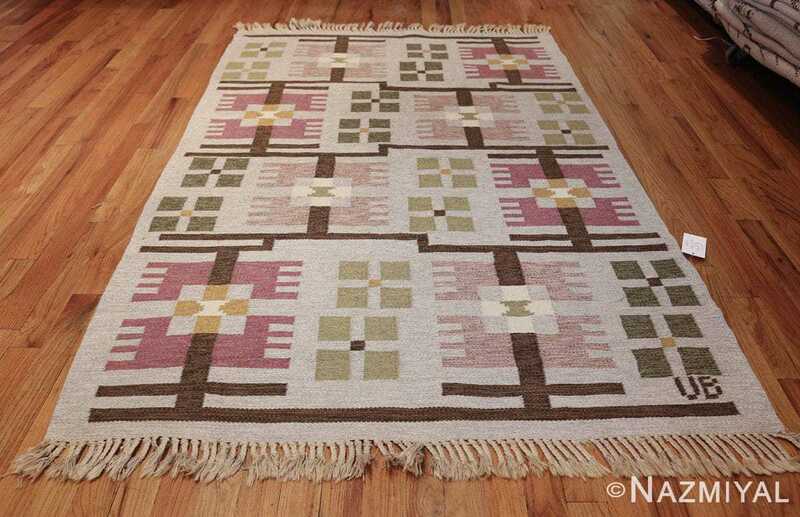 Beautiful Vintage Geometric Scandinavian Flat Woven Kilim Rug by Ulla Brandt, Country of Origin / Rug Type: Scandinavia Rug, Circa Date: Mid – 20th Century – This beautiful vintage Scandinavian rug, by textile artist Ulla Brandt, is characterized by a unique modern artistic aesthetic. 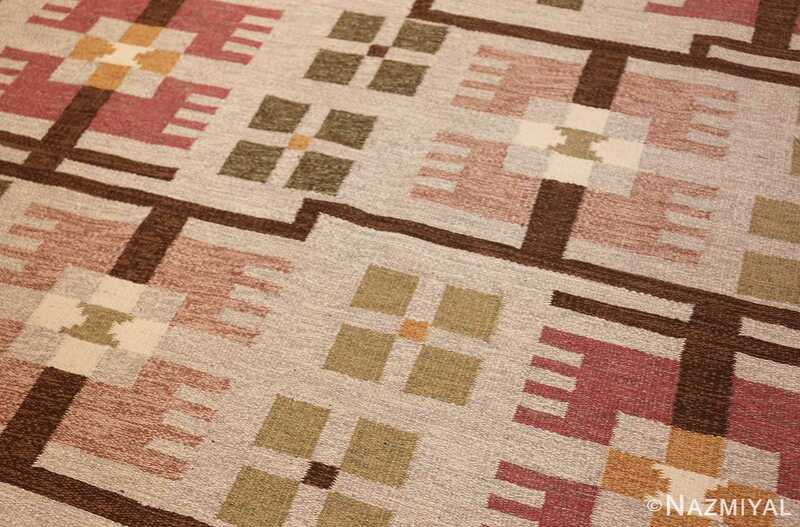 Its creative geometric pattern and beautiful colors work in stunning harmony to create a visual impression that is softly tranquilizing. 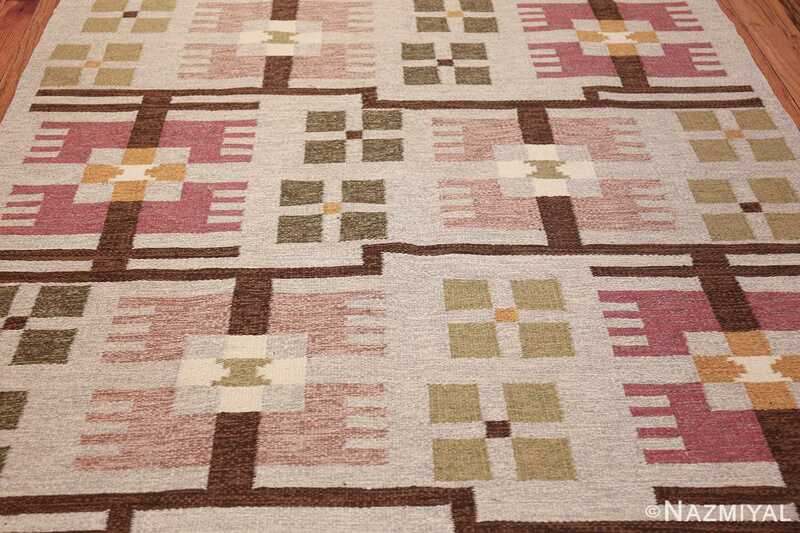 This elegant vintage mid century carpet features bold brown lines reminiscent of the great mid century De Stijl / Neoplastic art movement that influenced many of the great mid century artists such as Piet Mondrian, Jacobus Johannes Pieter Oud and Victor Pasmore. 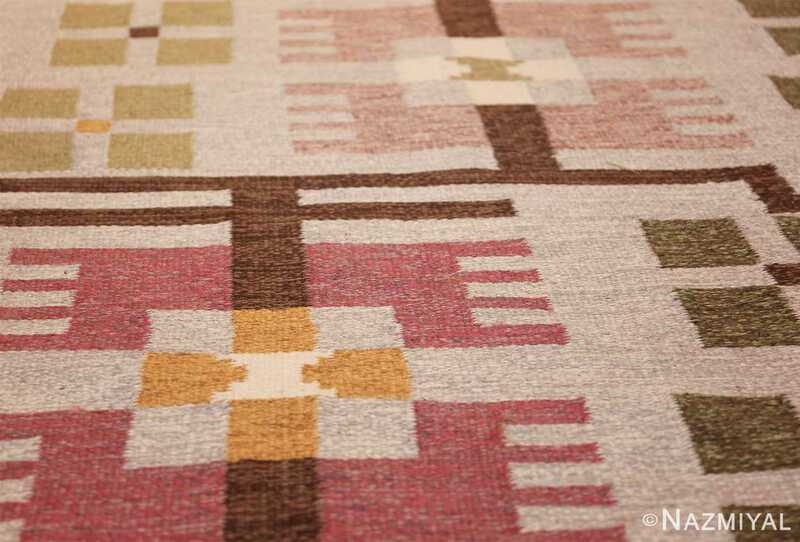 These lines are woven inventively into the center field design and are artistically interspersed with squares and geometric shapes of varying sizes and forms. 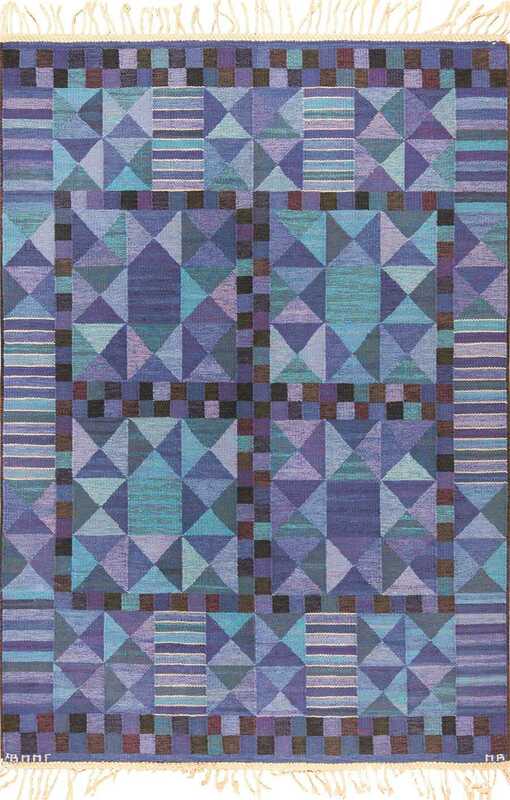 These geometric patterns are comprised of soft pastel colors. The background of this vintage flat woven rug is a very light color of silvery gray or ivory. 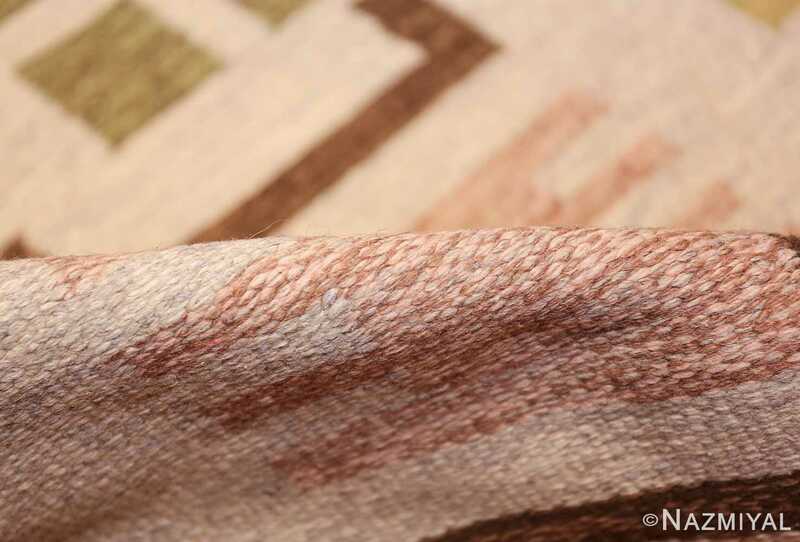 This lighter base color offers the neutral background that creates the beautiful juxtaposition between the warm colored design and neutral background. 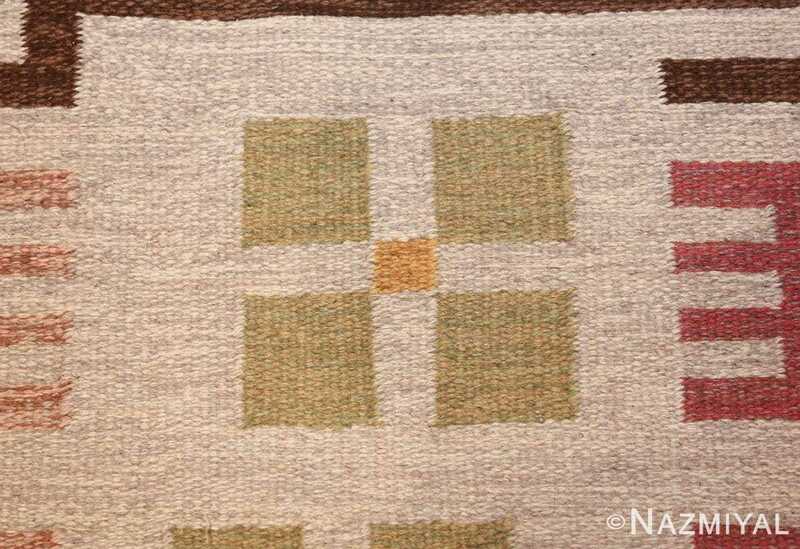 This combination creates a three dimension feeling that gives us the illusion where the pattern is floating higher than the background. 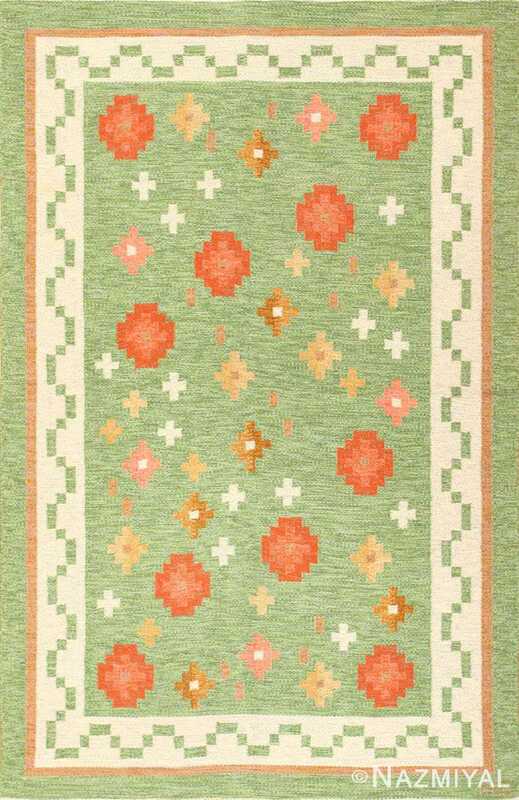 The smallest squares create a beautiful primitive floral motif. 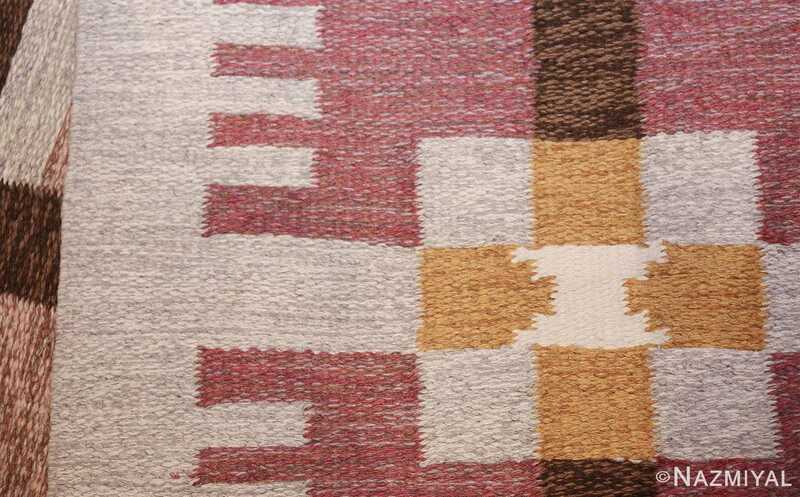 These primitive flowers are comprise of four small uniform petal squares that are connected together by a single smaller square in the center. When first looking at this vintage Scandinavian flat Woven Kilim rug, one gets a feel of randomness. 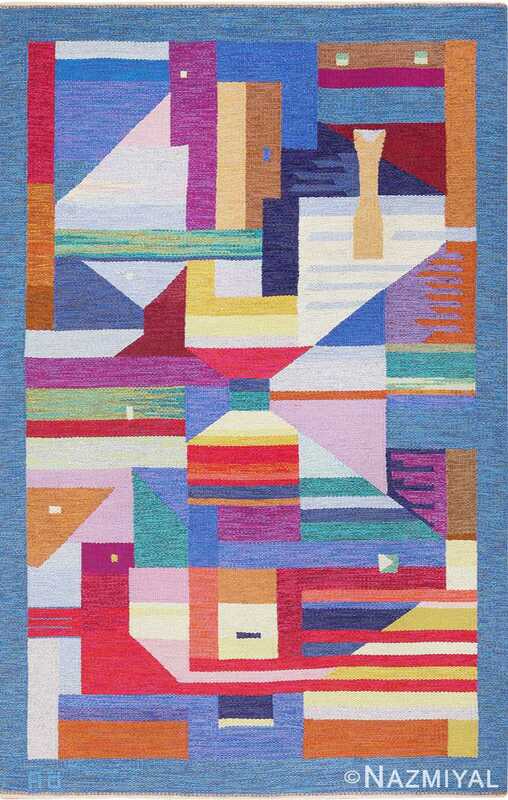 As if there is not true summitry throughout this vintage mid century rug. 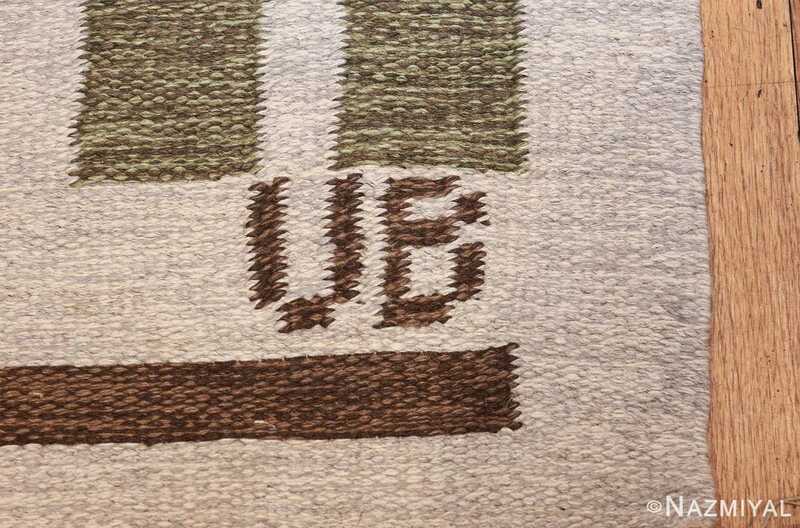 That said, as one spends more time looking and examining this piece, the organized symmetry starts to snap into place. These little intricacies culminate in a fascinating design that captures the eye in multiple ways and a multitude of levels. 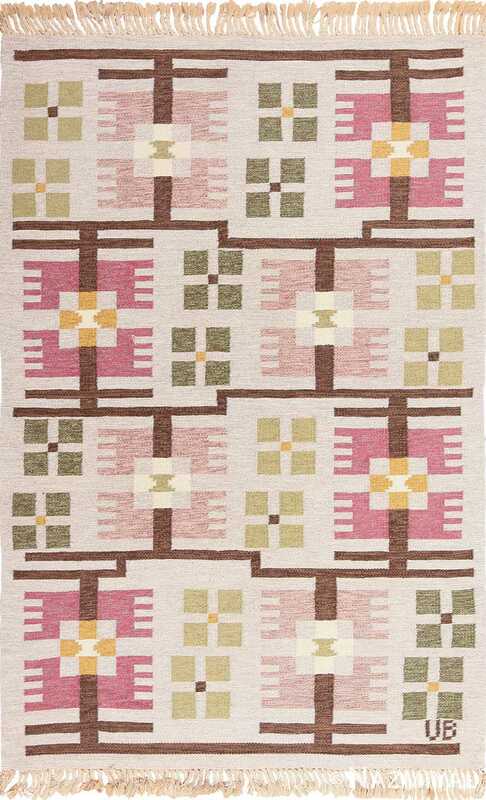 The satisfying unity of the bold brown lines contrasts brilliantly with creative geometric forms to create a truly stunning masterpiece that exudes order, calm and a whimsical sense of innocence. 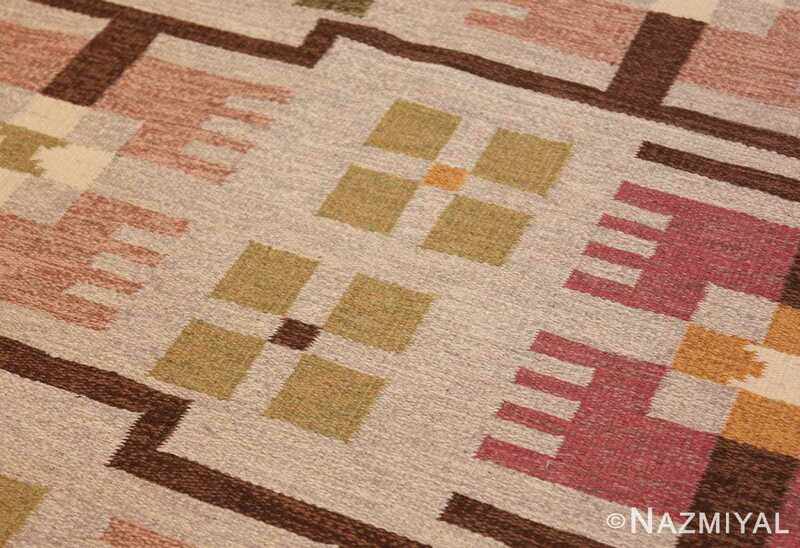 This softly charming vintage Scandinavian flat Woven Kilim rug will add a unique tranquility to any home’s interior design.